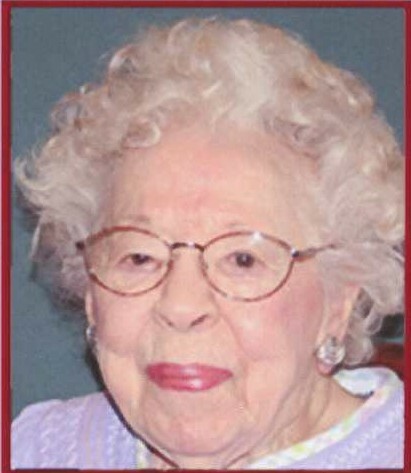 Helen Pack nee Stewart, nee Swartwood, fondly known as “Miss Helen”, 101 of Huntington, WV answered her Lords summons on Wednesday, March 20, 2019 at Woodland’s Retirement Community. Funeral services will be held on Saturday at 2:00 p.m. at Beard Mortuary with Rev. Jennifer Johnson officiating. Burial will follow in Woodmere Memorial Park. The family will receive friends after 1:00 p.m. She was born March 25, 1917 the daughter of the late Hobart and Rhoda Branham Swartwood. In addition to her parents she was preceded in death by her first husband, Leslie Stewart, her second husband, John Pack and a brother, Hobart Paul Swartwood, Sr. Miss Helen and Mr. L.H. Smith were the founders and board members of Appalachian Life Insurance Company and were later bought by Peoples Life Insurance Co. She was a member of Baptist Temple. She is survived by two nephews, Hobart Paul Swartwood, Jr. and wife, Rosemary of Gambrills, MD and James A. Swartwood of Old Hickory, TN; great nephew, Hobart Paul Swartwood, III and wife, Tara and their children, Reagan and Charlotte of Gaithersburg, MD; great-niece, Tara Ann Sutherland, husband, George and their son, Wesley of Mount Juliet, TN; great nephew, Thomas Alan Swartwood, wife, Lauren and their family, T.J., Emma, Ayden and Zachary Swartwood of Nashville, TN. Online condolences may be sent to the family at www.beardmortuary.com.